Fifty years ago, when the first international observatories were installed in Chile, light pollution seemed unthinkable due to the low population density and small size of villages and mining sites in the Atacama Desert. A few decades later, Chile’s economic growth has brought it to the brink of becoming a developed country. This is great for our operations at Las Campanas Observatory (LCO) because of improved communications, energy, and transportation infrastructure, as well as a better prepared local workforce. But with this development comes the threat of light pollution. 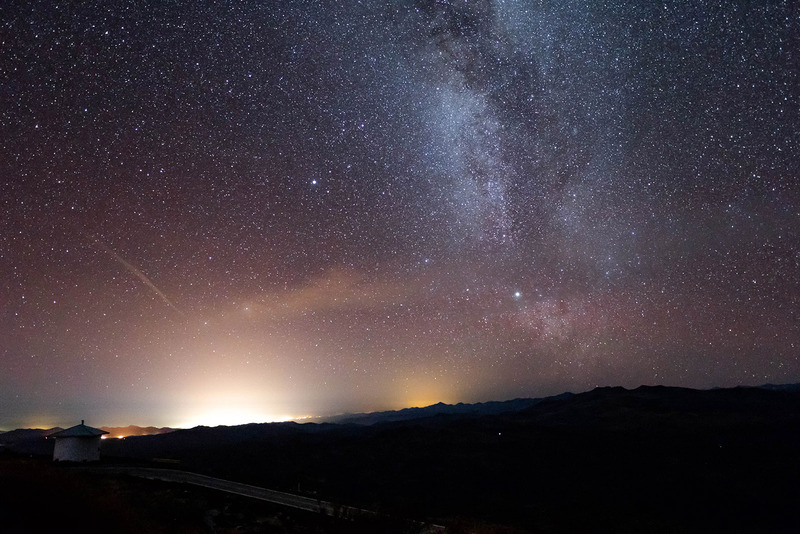 While 50 years ago the main astronomical sites in Chile all had virgin skies, the luminous haloes of growing cities, highways, and mining sites, are starting to have an impact on the sky’s brightness. Currently the Las Campanas sky towards the zenith (that’s looking straight up) is two percent brighter than natural levels. According to simulations based on nighttime satellite imagery, half of this artificial brightness comes from a single source near the observatory: the new lighting system of the Pan-American Highway between La Serena and Vallenar. Don’t get me wrong! LCO is still one of the darkest and best sites on the planet for astronomy, but the evolution of light pollution, and the fact that single large projects can have a measurable effect is a bit worrisome and must be addressed. Imagine you are hiking a trail in Yosemite and you find a plastic bag with trash. That doesn’t make Yosemite a polluted park, but a place where action should taken to prevent littering to preserve its beauty. That is exactly what a team of Carnegie astronomers with representatives from other U.S. and European observatories in Chile are doing: raising awareness in the communities and helping the Chilean government in preservation efforts to allow us to have dark skies above the Atacama Desert for generations to come. The Carnegie Observatories in a collaboration with the European Southern Observatory (ESO), the Association of Universities for Research in Astronomy (AURA), the Giant Magellan Telescope Organization (GMTO), and the Chilean Government, fund and run the Office for the Protection of the Dark Skies of Chile (OPCC for its acronym in Spanish). ESO/Cerro LaSilla, 600 km north of Santiago de Chile at an altitude of 2400 metres. •YEPUN (UT4; Venus – as evening star). Via the OPCC, we have helped Chile to be in the forefront of light pollution regulation and dark skies preservation. Since 1998, Chile has one of the world’s most stringent regulations controlling outdoor lighting in regions of astronomical interest. In 2014, these regulations were updated to properly address the use of new technologies like LED lighting. The OPCC also runs education and public outreach projects to raise awareness about light pollution and sustainable illumination practices, and organizes scientific workshops bringing together expertise on light pollution across different areas such as astronomy, medicine, biology, energy efficiency, public policy, etc. Chilean authorities can advance the protection of these natural laboratories, which are unique in the world. This requires an increase in the levels of compliance with current light pollution regulations and promoting new initiatives, such as the declaration of protected areas in the lands that surround astronomical observatories. It is also essential to establish a requirement to address light pollution in the environmental impact assessments, which are required for the approval of large construction and infrastructure projects like the Pan-American Highway. Last October, Carnegie astronomers and our OPCC partners met with the Chilean Minister of the Environment, Carolina Schmidt, in Cerro Paranal. LCO Director, Leopoldo Infante, and myself had the opportunity to talk personally with Minister Schmidt and present the need for Chile to protect the scientific, cultural, and environmental heritage that the dark skies of the Atacama Desert represent. This was just the latest in a series of activities and initiatives involving Carnegie astronomers in Chile, aimed at advocating for the protection of these magical and valuable sites. Protecting the skies above astronomical observatories will ensure that humanity can continue discovering and understanding the universe for generations to come. We were pleased that the minister stated a strong commitment to help us move forward on these issues. In the meantime, we will remain active and vigilant in the protection of our starry nights. 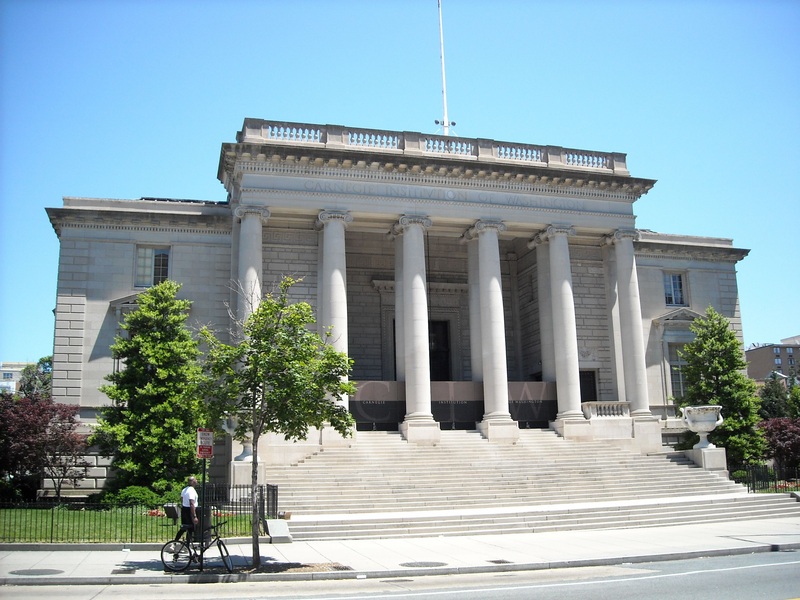 Andrew Carnegie established a unique organization dedicated to scientific discovery “to encourage, in the broadest and most liberal manner, investigation, research, and discovery and the application of knowledge to the improvement of mankind…” The philosophy was and is to devote the institution’s resources to “exceptional” individuals so that they can explore the most intriguing scientific questions in an atmosphere of complete freedom. 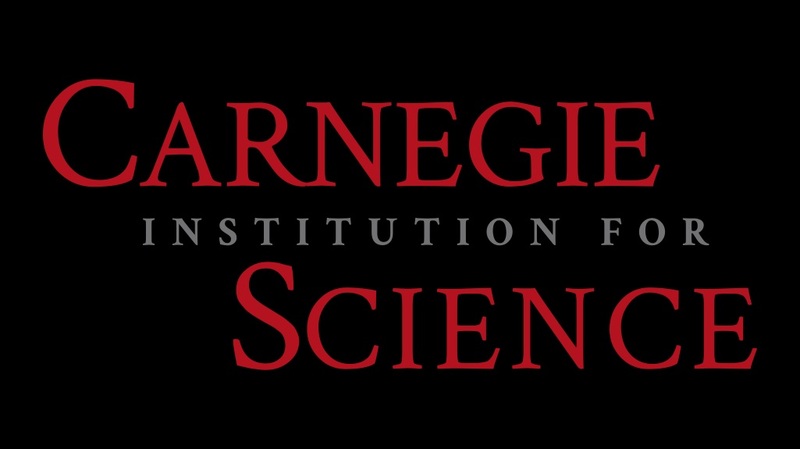 Carnegie and his trustees realized that flexibility and freedom were essential to the institution’s success and that tradition is the foundation of the institution today as it supports research in the Earth, space, and life sciences. From the birth and deaths of stars to the largest structures in the Universe, Hubble shows us what we’d never see otherwise. When it comes to the Universe itself, perhaps no better views have come, ever, than those from the Hubble Space Telescope. Across a myriad of objects, Hubble’s eyes have shown us the Universe as we’ve never seen it before. Here are 20 of its finest moments. The Pandora Cluster, known formally as Abell 2744, is a cosmic smash-up of four independent galaxy clusters, all brought together under the irresistible force of gravity. Image credit: NASA, ESA, and J. Lotz, M. Mountain, A. Koekemoer, & the Hubble Frontier Fields Team. Galaxy clusters: The most massive bound structures in the Universe, these contain anywhere from a handful up to thousands of Milky Way-sized galaxies. From incredibly deep views in space to bent light by their gravity, to individual galaxies speeding through them, Hubble offers views like no other. When there are bright, massive galaxies in the background of a cluster, their light will get stretched, magnified and distorted due to the general relativistic effects known as gravitational lensing. Image credit: NASA, ESA, and Johan Richard (Caltech, USA) Acknowledgement: Davide de Martin & James Long NASA/ESA Hubble, and J. Lotz and the HFF Team, Space Telescope Science Institute. The Hubble Ultra Deep Field, containing over 10,000 galaxies, some of which are clumped and clustered together, is one of the deepest views of the Universe ever taken, showcasing a huge stretch of the Universe from nearby structures to many whose light has traveled for over 13 billion years before reaching us. Image credit: NASA, ESA, and S. Beckwith (STScI) and the Hubble Ultra Deep Fields Team. This spiral galaxy is leaving a wake of stars, dust, and gas, as it plows through the intra-cluster medium of its home galaxy cluster. The space between these galaxies isn’t completely empty, and that’s what causes this incredible effect. Image credit: NASA, ESA, and the Hubble Heritage Team (STScI/Association of Universities for Research in Astronomy). Individual galaxies: Whether shaped like spirals, ellipticals, or anything in between, the gas, dust, stars, powerful black holes at the center, and brilliant (pink) star-forming regions highlight these cosmic, island Universes. This galaxy has a ‘glowing heart’ because it’s a special type of active galaxy — a Seyfert galaxy — whose central black hole is presently devouring matter and emitting light at a higher temperature and luminosity than all the surrounding regions. Image credit: Space Scoop /NASA/ESA Hubble, D. Calzetti, UMass and the LEGU.S. Team. This unusual galaxy is part-way between the evolution from a spiral to a lenticular galaxy, containing both an enormous central bulge and the classic dust lanes associated with a spiral. Over time, if more major mergers occur, this will become a true elliptical. Image credit: NASA/ESA Hubble. This galaxy, like a great many, appears dustier on one side than the other because of how it’s oriented with respect to our line-of-sight. The galaxy is tilted towards us where the dust is most prominent, and away from us where it’s most obscured by the brilliant starlight. Image credit: NASA, ESA and W. Harris — McMaster University, Ontario, Canada. The Whirlpool Galaxy (Messier 51) appears pink along its spiral arms due to a large amount of star formation that’s occurring, triggered by an interaction with another nearby galaxy. These pink colors come about because of ionized hydrogen, caused by the heat and UV light from newborn stars formed in these regions. Image credit: NASA, ESA, S. Beckwith (STScI), and The Hubble Heritage Team STScI / AURA). Nebulae: Originating when gas either collapses or gets shocked and heated, these dense configurations attempt to give rise to new stars, while the surrounding environment works to boil the gas off. The race is on. As a massive, hot, central star burns through its fuel, its radiation pushes out against the gas-rich interstellar medium, working to evaporate the star-forming gas away and quench this ongoing process. Image credit: NASA, ESA, Hubble Heritage Team. The Eagle Nebula, famed for its ongoing star formation, contains a large number of Bok globules, or dark nebulae, which have not yet evaporated and are working to collapse and form new stars before they disappear entirely. Many of these last remnants will fail, instead leaving only mass clumps and failed stars behind. Image credit: NASA/ESA Hubble. On the other hand, some Bok Globules already have young stars inside of them, like this spectacular Caterpillar-like conglomeration in the Carina Nebula. Image credit: NASA, ESA, N. Smith, University of California, Berkeley, and The Hubble Heritage Team. STScI/AURA. The Pillars of Creation in the Eagle Nebula are some of the most famous, and most spectacular, dusty regions of a star-forming nebula ever captured by any telescope anywhere. Image credit: NASA, ESA / Hubble and the Hubble Heritage Team. Individual stars: Whether newborn, middle-aged, or a dying corpse, stars are the building blocks of everything that makes the Universe what it is. This dense collection of stars is what you see when you point Hubble towards the galactic center in a relatively dust-free region. Some of the stars appear redder in this image than others, and this is not always due to their intrinsic color, but rather to the amount of dust in between us and the star, along that particular line-of-sight. Image credit: ESA / A. Calamida and K. Sahu, STScI and the SWEEPS Science Team / NASA. The largest group of newborn stars in our Local Group of galaxies, cluster R136 contains the most massive stars we’ve ever discovered: over 250 times the mass of our Sun for the largest. Over the next 1–2 million years, there will likely be a large number of supernovae to come from this region of the sky. Image credit: NASA, ESA, and F. Paresce, INAF-IASF, Bologna, R. O’Connell, University of Virginia, Charlottesville, and the Wide Field Camera 3 Science Oversight Committee. Wide Field Camera 3 (WFC3) being tested. Ultra-hot, young stars can sometimes form jets, like this Herbig-Haro object in the Orion Nebula, just 1,500 light years away from our position in the galaxy. Image credit: NASA/ESA Hubble, D. Padgett (Goddard Space Flight Center), T. Megeath (University of Toledo), and B. Reipurth (University of Hawaii). This image of the Crab Nebula’s core, a young, massive star that’s recently [1054 C.E.] died in a spectacular supernova explosion, exhibits these characteristic ripples due to the presence of a pulsing, rapidly rotating neutron star: a pulsar. Image credit: NASA / ESA. Planetary nebulae: Every star will someday die. These stunning visual examples highlight what might happen to our Sun. When seen from a certain orientation, this donut-shaped nebula, known as the Ring Nebula, provides a possible example of what our Sun might become approximately 7 billion years from now, when it dies in a planetary nebula. Image credit: NASA, ESA, and C. Robert O’Dell, Vanderbilt University. This planetary nebula may be known as the ‘Butterfly Nebula’, but in reality it’s hot, ionized luminous gas blown off in the death throes of a dying star, and illuminated by the hot, white dwarf this dying star leaves behind. Image credit: STScI / NASA, ESA, and the Hubble SM4 ERO Team. The red spiders nebula, shown here, has ripples and shock waves throughout its gas, due to the ultra-high temperature of its parent star: one of the hottest stars to form a planetary nebula in the known Universe. Image credit: ESA & Garrelt Mellema, Leiden University, the Netherlands. Finally, the twin jet nebula shown here is a stunning example of a bipolar nebula, which is thought to originate from either a rapidly rotating star, or a star that’s part of a binary system when it dies. Which one of these, if any, will our Sun someday look like? We’re still working to understand that. Image credit: NASA/ESA Hubble, Acknowledgement: Judy Schmidt. Cienega High School is a public high school in Pima County, Arizona, 2775 E Mary Ann Cleveland Way, Vail, AZ 85641. It opened in the fall of 2001 with approximately 400 students. It is a member of the Arizona Interscholastic Association’s 5A Conference. 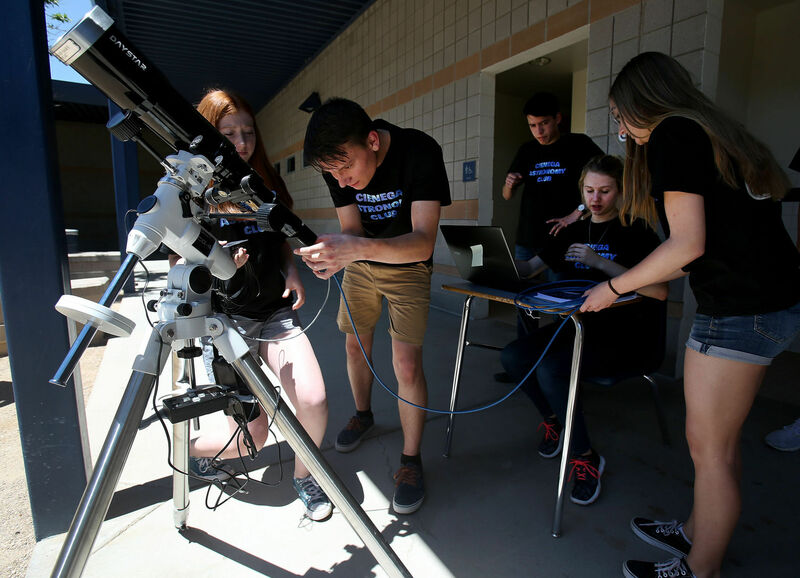 If you can’t travel 1,000 miles north to view the total solar eclipse in August, the students in Jack Erickson’s astronomy club at Cienega High School have got you covered. They are part of a 250-member team of citizen scientists who will deploy 60 identical telescopes along the continent-wide path of totality to produce a 90-minute movie that will detail the changing shapes of the sun’s corona. If all goes well, a shortened clip will be available for viewing on the day of the eclipse, Aug. 21. The longer version will be the subject of scientific inquiry by solar astronomers, who hope to confirm their theories about the halo of heated plasma surrounding the sun and maybe learn some new things. Any research papers written on the data will credit the entire team, including the students at Cienega. The students gathered last weekend to train on their new telescopes and to learn the software program that will enable them to capture about two minutes of total eclipse data from the lawn of the public library in Pawnee City, Nebraska, a town of fewer than 900 people that is on the path of totality. “I think it will be really exciting to be part of something this big,” said sophomore Bentley Bee, who took charge of the team’s computer during the morning tutorial as his classmates took notes on procedures being outlined by solar astronomer Matt Penn and Adriana Mitchell, a student in optical sciences and engineering at the University of Arizona. Penn, of the National Solar Observatory, is coordinating the nationwide effort — supported by NASA and the National Science Foundation. He has enlisted 60 teams of students and professional and amateur astronomers in the Citizen Continental-America Telescopic Eclipse Experiment, known in brief as Citizen CATE. At the workshop, he stressed the importance of capturing and preserving that data. As Mitchell tutored the four teams from across the country about the software program, Penn offered encouragement, practical advice and warnings. “Put the steadiest team member in charge of removing the solar filter,” he said, as he showed a movie of a similar experiment in Indonesia last year where the telescope was bumped off target during that process. The filter protects the telescope’s CCD camera during siting and focusing. Like your eyes, the camera can only look at the sun without filters during totality. Penn told the teams to simply rotate the telescope away from the sun at the end, rather than putting the filter back. “Not at our site, buddy,” said Erickson, who, along with parent volunteer Michele McClellan, is taking the teenage club members to Lincoln, Nebraska, in August. Erickson said he made reservations early in the closest big town — before he even knew exactly where the team would go. Hotel rooms and campgrounds are filling up along the path of the eclipse. Millions of Americans will be able to view the total eclipse by simply walking outside. It passes through mostly rural areas in the West and Midwest, but will be a short drive from many metropolitan centers, including the 3 million who live in and around St. Louis and 2 million in Nashville’s metropolitan area. Cities and towns along the path of totality are expecting an onslaught of visitors and hosting a variety of events. Tiny Madras, Oregon, population 6,533, is expecting 100,000 visitors, said Scott Dixon, one of five amateur astronomers from San Diego, who will be stationed there. “We have a reservation in a field,” he said. Fortunately, he also has an RV. Madras is hosting the Oregon Solarfest, promising sunny skies and a lineup of tribute bands on the eastern, dry side of Oregon’s rain-catching mountain ranges. Carbondale, Illinois, which will see the longest totality (2 minutes and 20 seconds) is planning daylong festivities on the campus of Southern Illinois University. NASA’s webcast, the EDGE, will be hosting four hours of “ESPN-style game day” programming in Carbondale, said Penn. “Nova,” the PBS science program, will broadcast a same-day program that will include the shortened version of NSO’s eclipse movie. That brief movie will also be posted on websites at NASA and the National Solar Observatory. This is all weather-permitting, of course. With 60 sites, Penn said, he can lose a few without adversely affecting the science, but is hoping for clear skies everywhere. Operator error could also affect the results, but the students at Cienega seemed determined to keep that from happening in Pawnee City. When the group moved outside for a test run, Bee and junior Daniel Stelly positioned the telescope as Julie VanVoorhis settled into the role of computer operator, smoothly running through the setup, calibration, focusing and collecting phases. VanVoorhis said she was introduced to astronomy when she took Erickson’s freshman honors physics class. Then she was offered the opportunity to help capture the all-American eclipse. “At first, I was really hesitant, but then I figured you can learn a lot of stuff by doing it,” she said. Next year, she plans to take Erickson’s astronomy course and envisions a career that combines her love of business with her new-found interest in astronomy. Penn will be in Weezer, Idaho, a small town near the Oregon border, where he will collect data and then compile images from the 59 other sites to quickly make a 10-second movie showing changes in the corona as the shadow of totality sweeps across the continent from Oregon to South Carolina. Changes will be more subtle in the longer movie, but should reveal information about the inner corona that is impossible to obtain, even from NASA’s space satellites, said Penn. The sun is about 400 times larger than the moon, but it is also 400 times farther from Earth, a coincidence that makes it “the best occulting disk available,” he said. The Citizen CATE experiment will explore that inner region of the corona. “Our main focus is the acceleration of particles above the poles of the sun,” said Penn. He describes the region as the “on-ramp” for the solar wind which has already reached speeds of 100 kilometers per second where scientists have been able to measure it. By the time those streams of charged particles reach Earth, they are traveling at 1,000 kilometers per second. Penn said he is not “an eclipse chaser” but this will be his third total eclipse. As a graduate student, he collected data from the Hawaiian mountaintop of Mauna Kea in 1991, and went with a group to Chile’s Atacama Desert in 1994. He told the students what to expect: The sky darkens, the temperature drops, birds stop chirping, night insects emerge, stars appear, the horizons color in a 360-degree sunrise/sunset. And, at totality, the corona appears around the blacked-out sun, in patterns that form along the sun’s magnetic field. It is safe to look at the sun during totality, which will last between 30 and 150 seconds, depending on the site. It is not safe to look at the sun without special filters before or after totality, and not during the partial eclipse that will be visible over much of the nation, including Tucson, where about half the sun will be shadowed. Look around instead, said Penn. Tree leaves and common objects, like car keys, cast amazing, crescent shadows. Penn said the eclipse is a great opportunity to interest people, especially students, in the work he does every day. The Citizen CATE groups will be asked to plan future observing campaigns with their new telescopes, computers, cameras, mounts and drives, which they get to keep, courtesy of donations from Daystar Filters, Celestron and colorMaker. Mathworks donated programming. In addition to the students mentioned in the article, the Cienega Astronomy Club team includes Brynn Brettell, Bruno Acevedo and Cole Bramhall. Jack Erickson’s daughter Ella and Michele McClellan’s daughter Emilie will also accompany the group. Erickson said the Vail School District has been “fully supportive” of the effort, allowing the club to tap into the district’s state tax-credit donations for travel and lodging. The group also received a donation from Research Corp. for Science Advancement. The Association of Universities for Research in Astronomy (AURA) is a consortium of 42 US institutions and 5 international affiliates that operates world-class astronomical observatories. AURA’s role is to establish, nurture, and promote public observatories and facilities that advance innovative astronomical research. In addition, AURA is deeply committed to public and educational outreach, and to diversity throughout the astronomical and scientific workforce. AURA carries out its role through its astronomical facilities. IN THE quarter of a century since the first extrasolar planets were discovered, astronomers have turned up more than 3,500 others. They are a diverse bunch. Some are baking-hot gas giants that zoom around their host stars in days. Some are entirely covered by oceans dozens of kilometres deep. Some would tax even a science-fiction writer’s imagination. One, 55 Cancri e, seems to have a graphite surface and a diamond mantle. At least, that is what astronomers think. 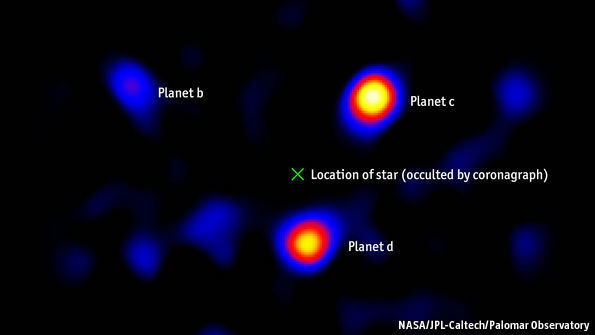 They cannot be sure, because the two main ways exoplanets are detected—by measuring the wobble their gravity causes in their host stars, or by noting the slight decline in a star’s brightness as a planet passes in front of it—yield little detail. Using them, astronomers can infer such basics as a planet’s size, mass and orbit. Occasionally, they can interrogate starlight that has traversed a planet’s atmosphere about the chemistry of its air. All else is informed conjecture. What would help is the ability to take pictures of planets directly. Such images could let astronomers deduce a world’s surface temperature, analyse what that surface is made from and even—if the world were close enough and the telescope powerful enough—get a rough idea of its geography. Gathering the light needed to create such images is hard. The first picture of an extrasolar world, 2M1207b, 170 light-years away, was snapped in 2004, but the intervening dozen years have seen only a score or so of others join it in the album. That should soon change, though, as new instruments both on the ground and in space add to the tally. And a few of the targets of these telescopes may be the sorts of planets that have the best chance of supporting life, namely Earth-sized worlds at the right distance from sun-like stars, in what are known as those stars’ habitable zones—places where heat from the star might be expected to stop water freezing without actually boiling it. Taking pictures of exoplanets is hard for two reasons. One is their distance. The other is that they are massively outshone by their host stars. Interstellar distances do not just make objects faint. They also reduce the apparent gap between a planet and its host, so that it is hard to separate the two in a photograph. Such apparent gaps are measured in units called arc-seconds (an arc-second is a 3,600th of a degree). This is about the size of an American dime seen from four kilometres away. The exoplanet closest to Earth orbits Proxima Centauri, the sun’s stellar neighbour. Yet despite its proximity (4.25 light-years) the angular gap between this planet and its star is a mere 0.038 arc-seconds, according to Beth Biller, an exoplanet specialist at the University of Edinburgh. Separating objects which appear this close together requires a pretty big telescope. The second problem, glare, is best dealt with by inserting an opaque disc called a coronagraph into a telescope’s optics. A coronagraph’s purpose is to block light coming directly from a star while permitting any that is reflected from planets orbiting that star to shine through. This palaver is necessary because, as a common analogy puts it, photographing an exoplanet is like trying to take a picture, from thousands of kilometres away, of a firefly buzzing around a lighthouse. Seen from outside the solar system, Earth would appear to be a ten-billionth as bright as the sun. Those exoplanets that have had their photographs taken so far are ones for which these problems are least troublesome—gigantic orbs (which thus reflect a lot of light) circling at great distances (maximising angular separation) from dim hosts (minimising glare). In addition, these early examples of planetary photography have usually involved young worlds that are still slightly aglow with the heat of their formation. Even then, serious hardware is required. For example, four giant planets circling a star called HR8799 were snapped between 2008 and 2010 by the Keck and Gemini telescopes on Hawaii (see picture). These instruments have primary mirrors that are, respectively, ten metres and 8.1 metres across. The good news for planet-snappers is that such giant telescopes are becoming more common, and that people are building special planet-photographing cameras to fit on them. At the moment, the three most capable are the Gemini Planet Imager, attached to the southern Gemini telescope, in Chile; the Spectro-Polarimetric High-Contrast Exoplanet Research Instrument on the Very Large Telescope, a European machine also in Chile; and the Subaru Coronagraphic Extreme Adaptive Optics Device on the Subaru telescope, a Japanese machine on Hawaii. All of those telescopes sport a mirror more than eight metres across, making them some of the biggest in the world, and their planet-photographing attachments are fitted with the most sophisticated coronagraphs available. The result is that the Subaru device, for example, can take pictures of giant planets that orbit their stars slightly closer in than Jupiter orbits the sun. This improved sensitivity will let astronomers take pictures of many more worlds. The Gemini Planet Imager, for instance, is looking for planets around 600 promising stars. (Its first discovery was announced in August 2015.) But even these behemoths will still be limited to photographing gas giants. To take snaps of the next-smallest class of planets (so-called “ice giants” like Neptune and Uranus), and the class after that (large, rocky planets called “super-Earths” that have no analogue in the solar system), will require even more potent instruments. These are coming. The European Extremely Large Telescope (ELT) is currently under construction in the Chilean mountains. Its 39.3 metre mirror will be nearly four times the diameter of the present record-holder, the Gran Telescopio Canarias, in the Canary Islands, which has a mirror 10.4 metres across. When it is finished, in 2024, the ELT should be sensitive enough to photograph Proxima Centauri’s planet, as well as other rocky ones around nearby stars. A smaller instrument, with a 24.5 metre mirror, the Giant Magellan Telescope, should be finished in 2021. The Thirty Metre Telescope, planned for Hawaii, will, as its name suggests, fall somewhere between those two—though its construction has been halted by legal arguments. For ground-based telescopes that may be the end of the line, says Matt Mountain, who is president of the Association of Universities for Research in Astronomy, and who oversaw the construction of the Gemini telescopes. The shifting currents of Earth’s atmosphere (the reason stars seem to twinkle even to the naked eye) impose limits on how good they can ever be as planetary cameras. To get around those limits means going into space. Although it is not specifically designed for the job, the James Webb space telescope, which is scheduled for launch in 2018 and which boasts both a mirror 6.5 metres across and a reasonably capable coronagraph, should be able to snap pictures of some large, nearby worlds. It will be able to sniff the atmospheres of many more, analysing starlight that has passed through those atmospheres on its way to Earth. WFIRST, a space telescope due to launch in the mid-2020s, will have picture-taking capabilities of its own, and will serve to test the latest generation of coronagraphs. After that, astronomers who want to picture truly Earth-like worlds are pinning their hopes on a set of ambitious missions which, for now, exist only as proposal documents in NASA’s in-tray. One of the most intriguing is the New Worlds Mission. This hopes to launch a giant occulter (in effect, an external coronagraph) that would fly in formation with an existing space telescope (probably the James Webb) to boost its exoplanet-imaging prowess. There may, though, be an alternative to this big-machine approach. That is the belief of the members of a team of researchers led by Jon Morse, formerly director of astrophysics at NASA. Project Blue, as this team calls itself, hopes, using a mixture of private grants, taxpayers’ money and donations from the public, to pay for a space telescope costing $50m (as opposed, for example, to the $9 billion budgeted for the James Webb) that would try to take pictures of any Earth-like exoplanets orbiting in the habitable zone of Alpha Centauri A—the closest sun-like star to Earth, and a big brother to Proxima Centauri. Alpha Centauri is hotter than Proxima, which means its habitable zone is much further away. That, combined with its closeness, means Project Blue can get away with a mirror between 30 and 45cm across—the size of mirror an enthusiastic amateur might have in his telescope. What such an amateur would not have, though, is a computer-run “multi-star wavefront controlled” mirror. This will draw on a technology already fitted to ground-based telescopes, called adaptive optics, in which portions of the mirror are subtly deformed in order to sculpt incoming light. In combination with a coronagraph the wavefront controller will, according to Supriya Chakrabarti of the University of Massachusetts, Lowell, let the telescope blot out the light not only of Alpha Centauri A, but also of Alpha Centauri B, a companion even closer to it than Proxima Centauri is. Moreover, the plan is to take thousands of pictures over the course of several years. By combining these and looking for persistent signals—particularly ones that appear to follow plausible orbits—computers should be able to pluck any planets from the noise. If it works, Alpha Centauri A’s closeness means Project Blue’s telescope could reveal lots of information about any planets orbiting that star (and statistical analysis of known exoplanets suggests there will almost certainly be some). Examining the spectrum of light from them would reveal what their atmospheres and surfaces were made from, including any chemicals—such as oxygen and methane—that might suggest the presence of life. It might even be possible to detect vegetation, or its alien equivalent, directly. The length of a planet’s day could be inferred by watching for regular changes in light as its revolution about its axis caused continents and seas to become alternately visible and invisible. Longer-term variations might reveal planetary seasons; shorter-term, more chaotic ones might be evidence of weather. If they can raise the money in time, the Project Blue team hope to launch their telescope in 2019 or 2020. Being able to take a picture of a rocky planet around one of the sun’s nearest neighbours would be an enormous scientific prize. If a habitable planet were found, it would be one of the biggest scientific discoveries of the century. Donors may think that worth a punt. Two opinions handed down by the Hawaii Supreme Court today uphold government approvals for a new solar telescope atop Haleakala. The court ruled that the state Board of Land and Natural Resources followed proper procedure in granting the University of Hawaii a permit to construct an Advanced Technology Solar Telescope, now known as the Daniel K. Inouye Solar Telescope, on Maui. The court also ruled that the management plan UH submitted to the BLNR with its permit application didn’t need an environmental impact statement. The group Kilakila O Haleakala had challenged BLNR’s approval of the management plan and permit. They hoped the decision would be similar to the court’s ruling last year that invalidated a permit to build the Thirty Meter Telescope on the Big Island’s Mauna Kea. That project has been the focus of more intense protests. Opposition to both telescopes cite concerns that the projects will desecrate sacred land. State Attorney General Doug Chin said his office will look into whether the rulings have any impact on future matters before the state land board, including the Thirty Meter Telescope. Attorneys representing the group that challenged the solar telescope’s permit, Kilakila O Haleakala, didn’t immediately comment. Officials with the Daniel K. Inouye Solar Telescope also didn’t immediately comment. “We are still reviewing the full decisions, but we look forward to ‘first light’ when the Daniel K. Inouye Solar Telescope will open a new era of discovery, here in Hawaii, about the sun and its daily impacts on all life on Earth,” university President David Lassner said in a statement. External construction of the Maui telescope is complete, with only internal work remaining, according to the university. The $340-million project is scheduled to be operational in 2019. Construction of the $1.4 billion Thirty Meter Telescope remains stalled pending a new contested case hearing scheduled to begin later this month. The University of Portsmouth have become one of the latest supporters of a new telescope which is being built to produce movies of the sky. The Large Synoptic Survey Telescope (LSST) will produce the widest, deepest, and fastest views of the night sky ever observed when it launches in 2021. Currently under construction in Chile, the LSST will take more than 800 panoramic images each night with its 3.2billion pixel camera, recording the entire southern sky twice each week. Professor Bob Nichol, Director of the University of Portsmouth’s Institute of Cosmology and Gravitation (ICG), said: “This new telescope will be located on a mountain-top site in the foothills of the Andes and over a 10-year time frame will capture tens of billions of objects in unprecedented detail. The universities of Portsmouth and Oxford are the only two UK institutional members of the LSST Corporation, which is primarily supported by the US National Science Foundation and the US Department of Energy. Academics from the ICG are involved with the preparation of the telescope at this stage, locating where in the sky it should observe and how often. Professor Nichol said: “What’s so awesome about this project is its ability to access — for the first time — moving images of the night sky. In the past you could miss a supernova if you weren’t looking in the right direction at the right time. This survey will offer 100 times the amount of data we’ve had access to previously. The LSST will be able to image 10 square degrees of sky in one shot, or 40 times the size of the full moon. Each of its 30-second observations will be able to detect objects ten-million times fainter than visible with the human eye. The LSST data will be used to locate the baffling substance of dark matter and explore the mysterious force of dark energy, which makes up the bulk of the universe and is causing its expansion to speed up. On behalf of the UK DKIST consortium members. The Daniel K. Inouye Solar Telescope [DKIST] is a 4m ground-based solar telescope currently under construction on the Haleakala mountain on the island of Maui, Hawai’i. It will be the largest solar telescope in the world by some way, with a diffraction limit a factor 3 smaller than that of any existing solar telescope. The UK has now joined the DKIST project, providing the cameras for four of the DKIST instruments. The UK DKIST consortium is financed by the Science and Technology Facilities Council, 8 UK universities, and Andor Technology plc. This nugget gives an overview of the DKIST, the UK’s contribution, and the opportunities for all UK solar physicists to get involved. The DKIST is led by the US National Solar Observatory (NSO) with funding from the National Science Foundation (NSF). It will operate in the optical and near-infrared and will be the pre-eminent ground-based solar telescope for the foreseeable future. Its adaptive optics will enable diffraction-limited observations with a spatial resolution of 25 km, less than the photon scattering mean-free path in the photosphere — a fundamental physical scale in the visible. It is located at an altitude of 3,000 m on Haleakala, Hawaii, giving the very low scattered light necessary for coronal studies. The DKIST first light will be in 2019, and it will serve the solar physics community to 2050 and beyond. 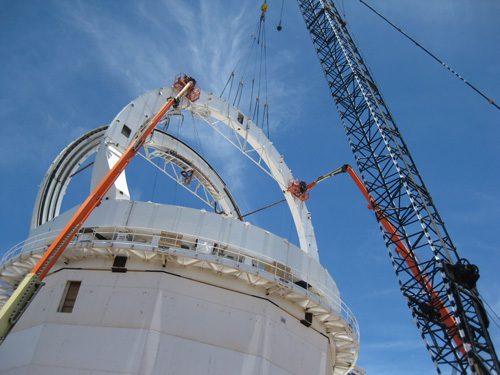 Fig 1: The main structural elements of the DKIST dome being installed; the basket on the crane gives an idea of the scale. Source NSO/DKIST. What are the building blocks of solar magnetism? How is magnetic energy built up, released and transported in flares and CMEs? What is the origin of solar variability? The key advances in the DKIST’s first-light instruments, which will be used to address these questions, are ultra-high spatial resolution (25 km) and ultra-high time cadence (10’s of ms) imaging, high resolution photospheric and chromospheric imaging spectroscopy and vector magnetometry, plus infrared coronal magnetometry. 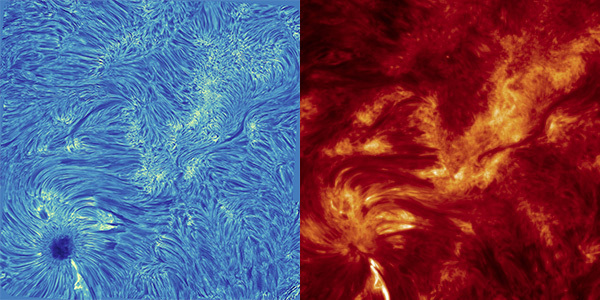 Fig 2: The chromosphere in He 304 from AIA at 1.2″ resolution (right) and the same view in H-alpha from IBIS equipped with a ROSA camera (left) at 0.25″ spatial resolution (click for full resolution). The improvement in spatial resolution offered by DKIST will be about the same again. Image credit: Kevin Reardon PhD (NSO/QUB). As a highly sophisticated facility, DKIST will normally be operated in service mode by expert astronomers on behalf of the PIs of observing proposals – like a ‘spacecraft on the ground’. The telescope has five first-generation instruments: VBI -the Visible Broadband Imager; VTF – the Visible Tunable Filter; ViSP – the Visible Spectro-Polarimeter; DL-NIRSP -the Diffraction Limited Near Infra-Red Spectro-Polarimeter and Cryo-NIRSP the Cryogenic Near Infra-Red Spectro-Polarimeter. The first light instrument will be the VBI, for which the UK’s ROSA imager is the prototype. Light from the primary can be shared between the first four of the five listed instruments simultaneously, allowing enormous flexibility in operations and thus science investigations. The Cryo-NIRSP instrument focuses on diagnostics of the faint corona, and will observe by itself, taking advantage of an unobstructed aperture and best coronal seeing conditions. Full details of the instruments can be found here. 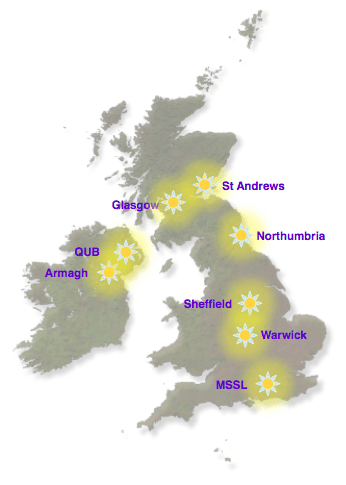 The UK DKIST consortium is led by Queen’s University Belfast, and involves 7 other institutes (Armagh, Glasgow, MSSL, Northumbria, Sheffield, St. Andrews and Warwick). Finance for the consortium has been provided by the STFC, by the UK institutes involved, and Andor Technology plc who are investing internal resources in the camera development. The consortium will provide 9 identical cameras for four instruments on the DKIST, and in return the UK will have some guaranteed access time to the DKIST (in addition to competitively awarded open time). The consortium will also develop and implement aspects of the data analysis toolkit and help members of the UK community become involved with the DKIST science plan, and preparation of observations. Some of the DKIST’s science topics are described in the science cases. The UK DKIST consortium will be adopting the process for developing DKIST proposals outlined in the critical science plan. The DKIST is an exciting new facility that will address many science questions of interest to the UK solar community. It will be able to work in co-ordination with ESA’s Solar Orbiter, though this will take very careful planning. We encourage the UK community to start developing their ideas for ground-breaking new science with the DKIST. Over the past two decades, NASA’s Hubble Space Telescope and other powerful observatories have collectively made extraordinary breakthroughs in our understanding of the universe: from black holes, to dark energy, to extrasolar planets, and cosmic evolution. Despite these breathtaking advances, humanity’s most compelling questions remain unanswered: Are we alone in the universe? Or, are other inhabited Earth-like worlds common in our galaxy? What’s more, how did life emerge from a chaotic cosmic beginning? A new study issued today by the Association of Universities for Research in Astronomy (AURA), based in Washington, D.C., describes a visionary, innovative, and revolutionary path forward to answering these and other timeless questions that are considered game-changers in our understanding of our place in the cosmos. “When we imagine the landscape of astronomy in the decade of 2030, we realize it is at last within our grasp to make a monumental discovery that will change mankind forever. We hope to learn whether or not we are alone in the universe,” said AURA President Matt Mountain. AURA spearheaded the study of space-based options for ultraviolet (UV) and optical astronomy in the era following the James Webb Space Telescope’s mission (planned for launch in 2018). AURA brought together a team of research scientists, astronomers, and technologists to assess a future space observatory that can significantly advance our understanding of the origin and evolution of the cosmos and whether extraterrestrial life is an integral part of cosmic history. The AURA report describes the scientific and technological case for building a “super-Hubble” space telescope that would view the universe with five times greater sharpness than Hubble can achieve, and as much as 100 times more sensitivity than Hubble to extraordinarily faint starlight. These powerful capabilities would allow the observatory, called the High Definition Space Telescope (HDST), to look for signs of life on an estimated several dozen Earth-like planets in our stellar neighborhood. It could provide the first observational evidence for life beyond Earth. The scientific research enabled by the Hubble Space Telescope has had a profound and revolutionizing impact on most areas of astronomy over the past 25 years. Similarly, as a general-user space observatory, the HSDT would engage the world’s best and brightest scientists to make transformational advances in astronomy across a wide swath of research areas, from the solar system, to stellar evolution, to the farthest observable horizon of the universe. 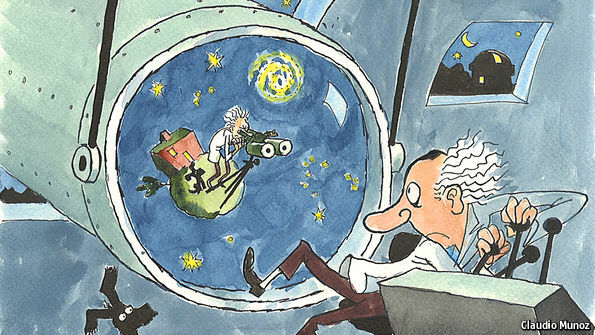 No doubt, unexpected and profound discoveries are in store, as happened with Hubble. Though the report does not address a specific design for the HDST, its mirror would have to be at least 12 meters (39 feet) across to conduct a robust survey of nearby habitable planets. This would be accomplished by combining up to 54 mirror segments together to form a giant aperture. The construction of the Webb telescope’s 18-mirror mosaic provides an important engineering pathway to demonstrating proof-of-concept for this type of space observatory architecture. The HDST would be located at the Sun-Earth Lagrange 2 point, a gravitationally stable “parking lot” in space located 1 million miles from Earth. The telescope would have a suite of instruments: cameras, spectrographs, and a coronagraph for blocking out a star’s blinding glare so that any dim, accompanying planets can be directly imaged. The construction would be modular so that astronauts or robots could swap out instruments and other subsystems. As with Hubble, this would ensure an operational lifetime spanning decades. The motive for the HDST is driven in part by the discoveries of NASA’s prolific planet hunter, the Kepler space observatory. Kepler’s discovery of over 1,000 confirmed exoplanets provides a statistical database that predict Earth-like worlds should be common in our galaxy, and hence nearby to us and within observational reach of the HDST. A 12-meter-diameter space telescope outfitted with a coronagraph could look for planets around an estimated 600 stars within 100 light-years of Earth. The Kepler statistics predict that 10 percent of nearby stars would host Earth-sized planets within the habitable zones of their stars, where temperatures are optimum for life, as we know it. The HDST would spectroscopically characterize the atmospheres of these planets. The abundance of water vapor, oxygen, methane, and other organic compounds in the atmosphere could be evidence of an active biosphere on the surface of a planet. Looking far beyond our local stellar neighborhood, the HDST would search for the origins of the chemistry of life in an evolving universe. The super-telescope’s UV sensitivity would be used to map the distribution of hot gases far outside the perimeter of galaxies. This would show the structure of the so-called “cosmic web” that galaxies are embedded inside, and how chemically enriched gases flow in and out of a galaxy to fuel star formation. The HDST’s unexcelled sharpness at ultraviolet and optical wavelengths would allow astronomers to see the stellar and nebulous contents of galaxies billions of light-years away with the same crispness that Hubble sees inside galaxies just tens of millions of light-years away. The HDST could pick out stars like our Sun located 30 million light-years away! A sharp view of visible contents of the entire universe would immediately become accessible to us via this super-Hubble’s “high-definition” vision. Within our own solar system, HDST would provide images of weather and surfaces on the outer planets and their moons far beyond today’s capabilities. HDST would also provide detailed data on the interaction of each of the outer planets with the solar wind and give planetary scientists the ability to search for remote, hidden members of our solar system ranging in size from dwarf planets to ice giants like Neptune. Though such a telescope is envisioned for the 2030s, it is not too early to start planning the science needs and technological requirements. Planning for the Hubble Space Telescope began in the 1970s, two decades before its launch. In addition, concept studies for the Webb telescope began two decades ago. The HDST is needed to complement the powerful capabilities of a new generation of ground-based telescopes. Planned for the early 2020s are behemoth visible-infrared observatories, such as the Thirty Meter Telescope, the 39-meter European Extremely Large Telescope, and a planned Giant Magellan Telescope. Already in operation is the Atacama Large Millimeter/submillimeter Array (ALMA) radio telescope in northern Chile. The HDST would be able to study extremely faint objects that are 10 to 20 times dimmer than anything that could be seen from the ground with the planned large, ground-based telescopes. It could also observe ultraviolet wavelengths that are blocked by Earth’s atmosphere. The large ground-based telescopes, in turn, would be as good or better than HDST for measuring the spectra of objects. The HDST would have comparable clarity at UV/optical wavelengths as the giant ground-based telescopes get in the near infrared and as ALMA gets at millimeter wavelengths. This would allow astronomers to obtain incredibly clear views of the cosmos over a very broad electromagnetic spectral range. “The monumental endeavor of building the HDST is going to take a continuing partnership between NASA, science, technology, and U.S. and international space missions to build the next bridge to humanity’s future,” Mountain said. AURA is a consortium of 40 U.S. institutions and four international affiliates that operates world-class astronomical observatories. AURA’s role is to establish, nurture, and promote public observatories and facilities that advance innovative astronomical research. In addition, AURA is deeply committed to public and educational outreach, and to diversity throughout the astronomical and scientific workforce. AURA carries out its role through its astronomical facilities, which include many ground-based telescopes as well as the Space Telescope Science Institute in Baltimore, Maryland (STScI). STScI conducts the science mission for NASA’s Hubble Space Telescope, will conduct the science mission for the upcoming James Webb Space Telescope and the proposed Wide-Field Infrared Space Telescope. STScI also houses the Mikulski Archive for Space Telescopes (MAST), a NASA-funded project to support the astronomical community with a variety of astronomical data archives. Matt Penn is, in some ways, a solar weatherman. Penn, an associate astronomer with the National Solar Observatory in Tucson, researches and observes sunspots and solar flares. Part of his work involves predicting when a flare might occur. Penn’s challenge is to increase the ability to tell when a solar flare will happen and who will be affected, kind of like how meteorologists can predict when and where a hurricane will hit. He’s trying to do this through studying changes in the sun’s magnetic field and looking at the patterns of flares to determine when one might happen. That ability to predict solar events is important. In March, NASA space weather scientists warned that a coronal mass ejection could cause communication disruptions, along with auroras, as far south as Oklahoma. The geomagnetic storm caused by this particular CME was weaker than predicted, but warning is critical. A direct hit from a large coronal mass ejection could cripple communication and power systems. A solar flare contains two parts. The first, the solar flare itself, is a brightening where the flare emits X-rays and gamma rays. Those are just a form of electromagnetic radiation, and while they can affect people and objects in space, they don’t affect us on Earth because the atmosphere protects us. 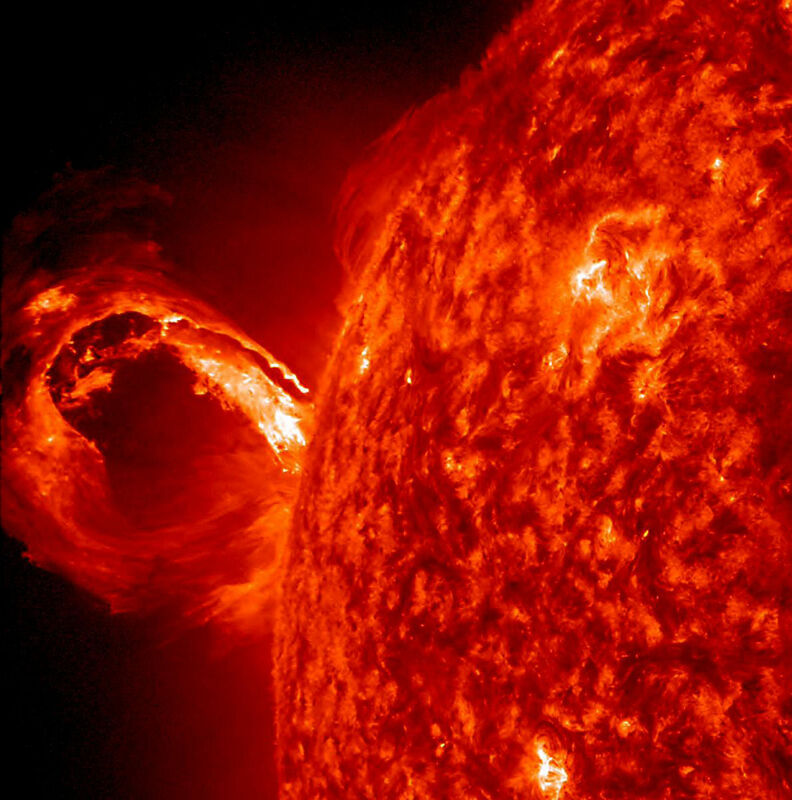 The solar flare is followed, in 90 percent of cases, by a coronal mass ejection. That’s where things on Earth can get weird. The coronal mass ejection is a bunch of magnetized plasma — shot out from the sun. When that mass hits the Earth, the Earth’s magnetic field gets shaken a little bit. That can cause beautiful images, like the Aurora Borealis, but it can also cause damage to transformers, GPS systems and communication devices. It can cause problems for banks, electric companies and TV providers. And all this can cost companies money. In 1859, one of the biggest and most famous flares caused the Carrington event, where a coronal mass ejection caused huge currents in telegraph lines and fires in telegraph offices. More recently, a geomagnetic storm caused widespread, nine-hour blackouts in Quebec in 1989, when currents generated by a coronal mass ejection blew the circuits on the local power grid. “Anytime you vary the magnetic field of the Earth — those variations can produce currents, and currents that primarily run through the ground,” Giacalone said. The North American Electric Reliability Corp., an international regulatory agency, sets procedures for monitoring and responding to geomagnetic storms. 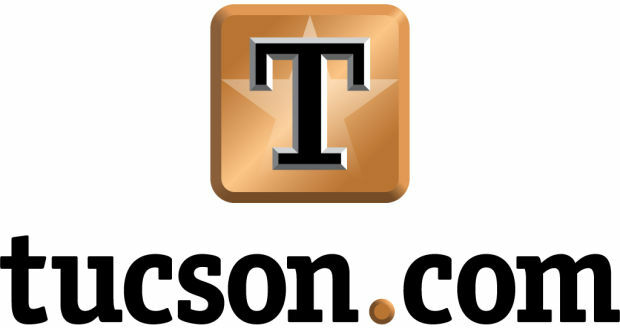 Locally, utility companies such as Tucson Electric Power Co. are more focused on power outages from Earth-based weather. TEP has a variety of methods to get its equipment up and running, spokesman Joseph Barrios said. Solar flares can occur anytime but are more likely to occur when the sun is at the maximum range of its 11-year cycle of activity, as it is now. This particular “solar max,” however, has been particularly mild, Penn said. “It’s about half the strength in terms of the number of sun spots as the last cycle,” Penn said. The National Science Foundation (NSF) agreed on Friday to support the Association of Universities for Research in Astronomy (AURA) to manage the construction of the Large Synoptic Survey Telescope (LSST). This marks the official federal start of the LSST project, the top-ranked major ground-based facility recommended by the National Research Council’s Astronomy and Astrophysics decadal survey committee in its 2010 report, New Worlds, New Horizons. It is being carried out as an NSF and Department of Energy (DOE) partnership, with NSF responsible for the telescope and site, education & outreach, and the data management system, and DOE providing the camera and related instrumentation. Both agencies expect to support post-construction operation of the observatory. The NSF construction budget for LSST is not to exceed $473M. The DOE Camera fabrication budget will be baselined later this year, but is estimated to be $165M. Operations costs will be around $40M per year for the ten-year survey. With the approved start occurring now, LSST will see first light in 2019 and begin full science operations in 2022. Today’s action culminates over ten years of developing, planning and reviewing of the LSST concept. By digitally imaging the sky for a decade, the LSST will produce a petabyte-scale database enabling new paradigms of knowledge discovery for transformative STEM education. LSST will address the most pressing questions in astronomy and physics, which are driving advances in big data science and computing. LSST is not “just another telescope” but a truly unique discovery engine. The early development of LSST was supported by the LSST Corporation (LSSTC), a non-profit consortium of universities and other research institutions. Fabrication of the major mirror components is already underway, thanks to private funding received from the Charles and Lisa Simonyi Foundation for Arts and Sciences, Bill Gates, and other individuals. 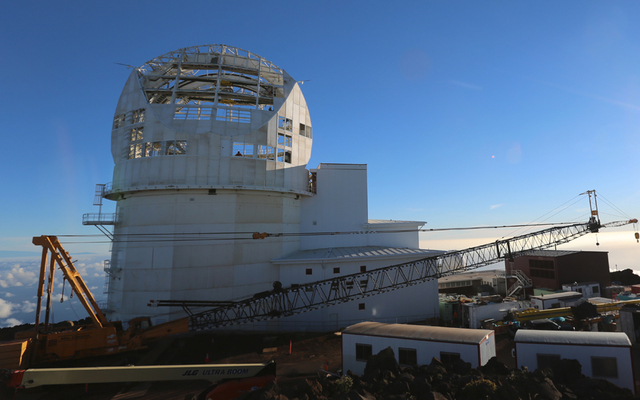 Receipt of federal construction funds allows major contracts to move forward, including those to build the telescope mount assembly, the figuring of the secondary mirror, the summit facility construction, the focal plane sensors, and the camera lenses. LSST’s construction funding will be provided through NSF’s Major Research Equipment and Facilities (MREFC) account. LSST passed its NSF Final Design Review in December of 2013; the National Science Board gave the NSF conditional approval to move the project to construction status in May of 2014. On the DOE side, LSST received Critical Decision-1 approval (CD-1) in 2011 and also just received CD-3a approval, which allows the project to move forward with long-lead procurements. The CD-2 review will take place the first week in November, with approval expected shortly afterward, formally fixing the baseline budget for completion of the camera project. The Particle Physics Project Prioritization Panel (P5), an advisory subpanel of the High Energy Physics Advisory Panel (HEPAP), recommended last month that DOE move forward with LSST under all budget scenarios, even the most pessimistic.